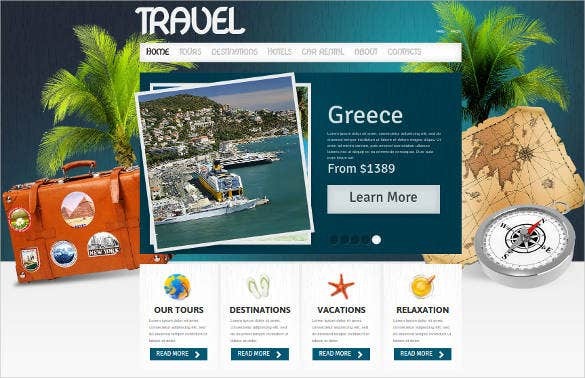 Huge backgrounds that make the visual quotient of the website highly impactful, image heavy pages, slideshows, downloadable files – all these are pretty much the routine requirements for any travel oriented website. 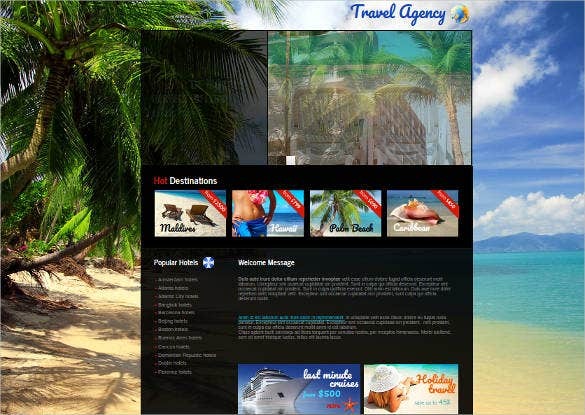 You May also visit Travel Agency Website Templates. 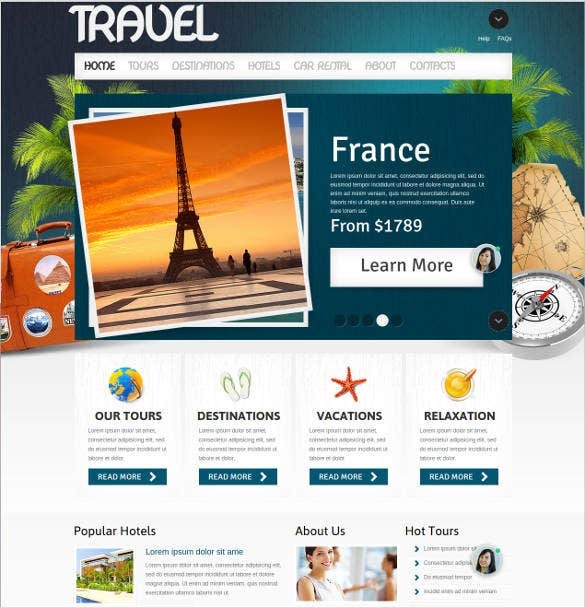 If you can lay your hands on some top class premium tourism website templates, you can really zoom past your competitors and make your website a popular one. 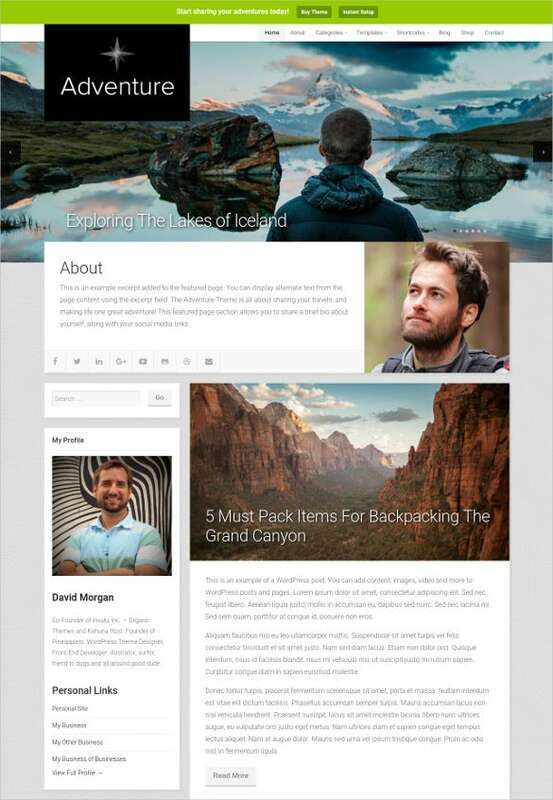 You May also visit Best Travel & Tourism Blogger Template. 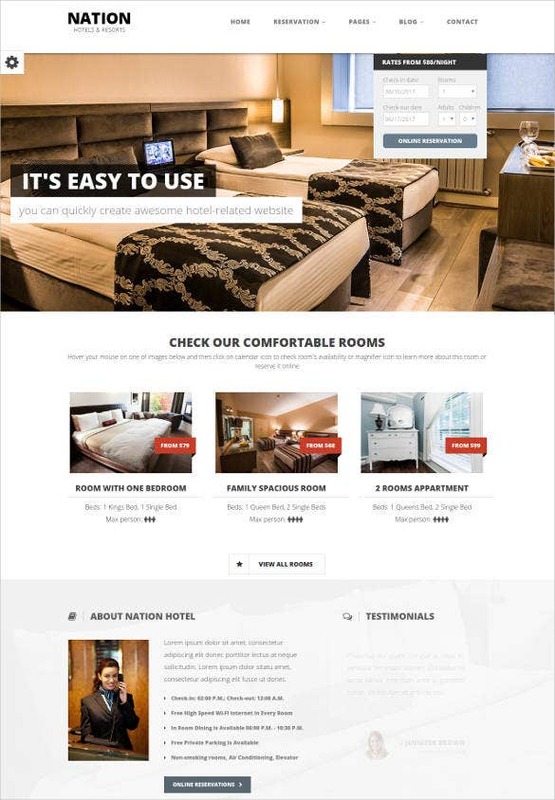 This theme is Joomla compatible and brings forth added innovation in an extended admin panel and gantry framework. Dropdown menus and the Quickstart package come in handy for the designers besides the sortable gallery.This Joomla template is a powerful one in all respects. 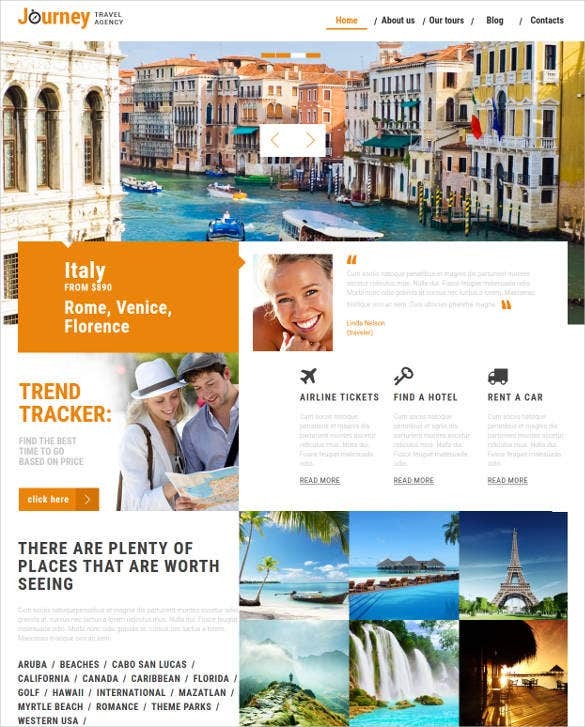 Easy to install, this template is the favorite of many travel websites all around the world. A typical homepage with search boxes and advanced filtering schemes make this theme extremely usable. Ready to use color themes and an advanced admin panel provide the needed flexibility besides the featured font sets. Some of the most essential features which set this theme a cut above the rest are the menu modules and the built-in music player. HTML widget and an advanced share button make for seamless installations. Layout editing is made easy with this useful theme which also includes a content manager in addition to the multiple sliders. Extended set of widgets and modules can be seen whereas the mobile version builder renders additional support. Adding layers to your website is a good idea. the layers give many ideas of innovating and mixing two or more designs. Various animations and graphic designs should be added which are enthralling to use. 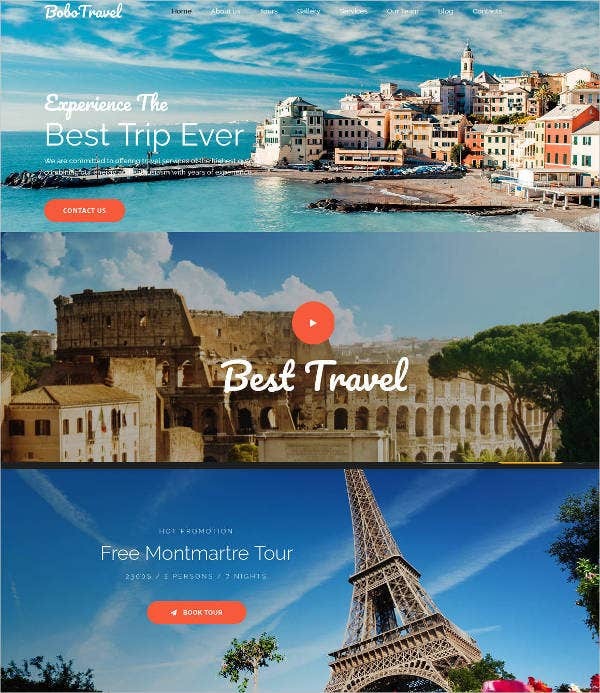 If you want to create a website with great features and backgrounds, then Moto CMS travel Website are the best, they have handpicked travel templates that add to the value of your website. Here comes a beautiful theme which amalgamates power with finesse on adding vibrant images and color schemes. Extreme responsiveness and an SEO optimized approach are some of the additional features. 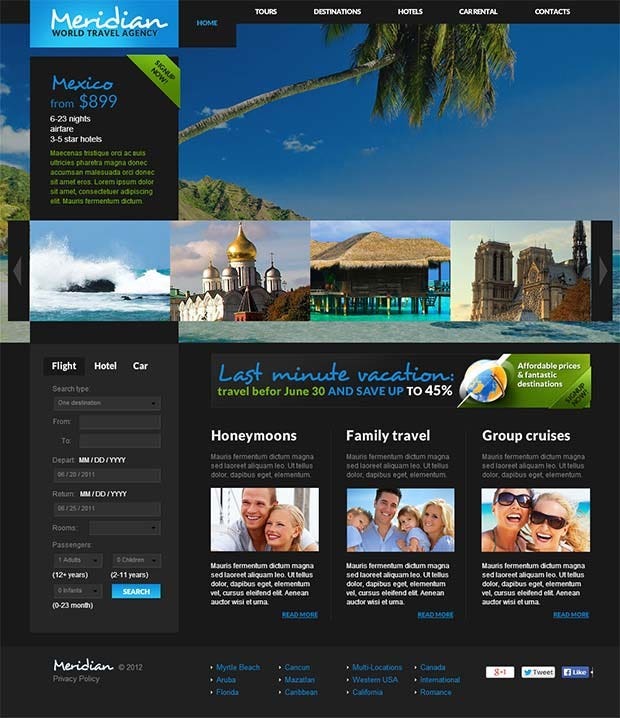 This theme features multiple schemes and travel options for the customers with multiple colors and showcased font sets. Better sliders make navigation easy whereas the cross browser compatibility comes in real handy. 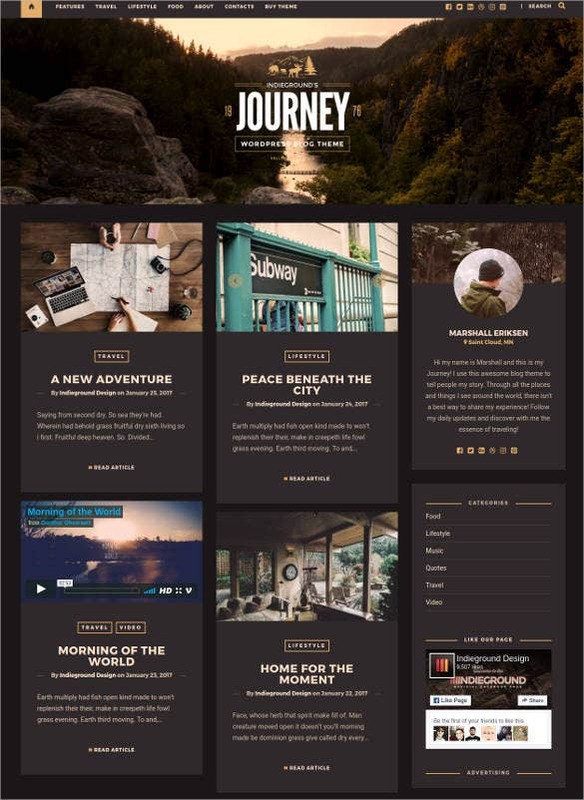 A picture perfect theme which includes Revolution slider and unlimited Google fonts in addition to the SEO ready interface! RTL language support is provided besides varied color schemes and featured font sets. 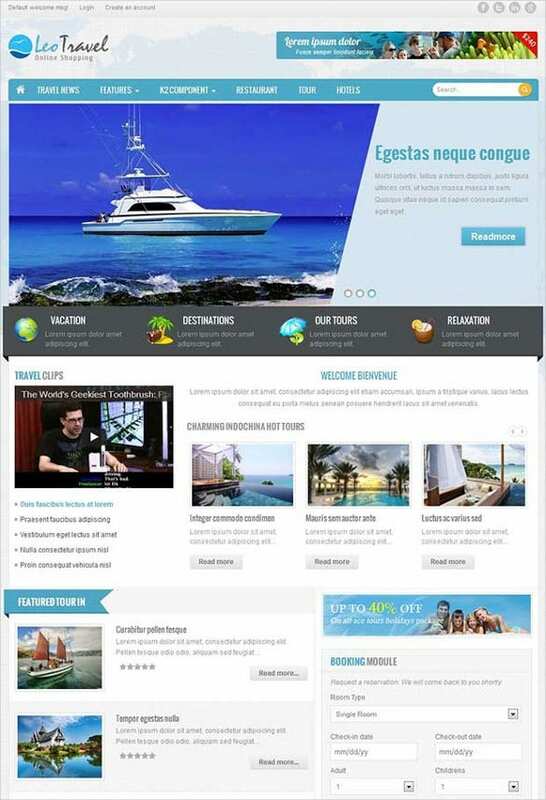 You may also like Drupal Website Themes. HTML support and flash empowered features are available in addition to the responsive layout. JQuery plugins and multiple color schemes come in real handy for the professionals besides a vibrant layout. Embrace the future with this captivating theme featuring useful shortcodes and filterable portfolios. Free skins are up for grabs whereas the responsive layout includes multilingual support and mobile friendly designs. 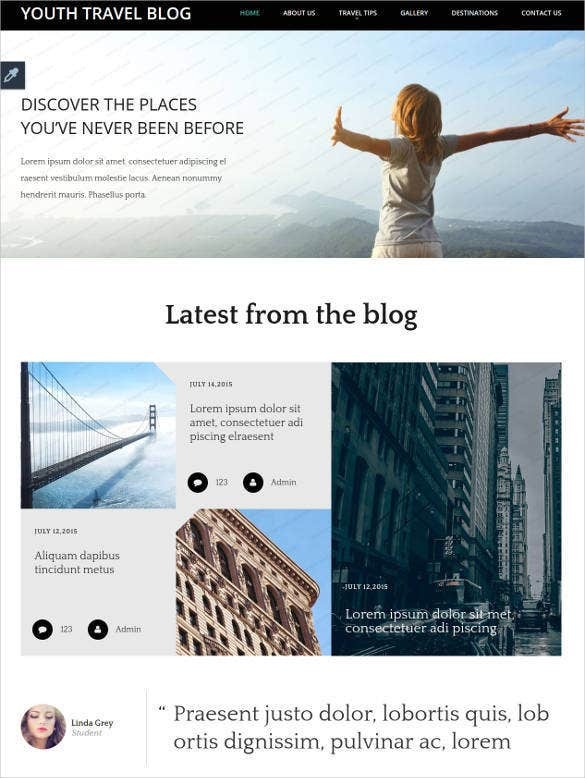 This is a Joomla empowered theme featuring full width slideshow and support Google Fonts. some other features include 5 pre defined color styles, compatible with retina screen resolutions. 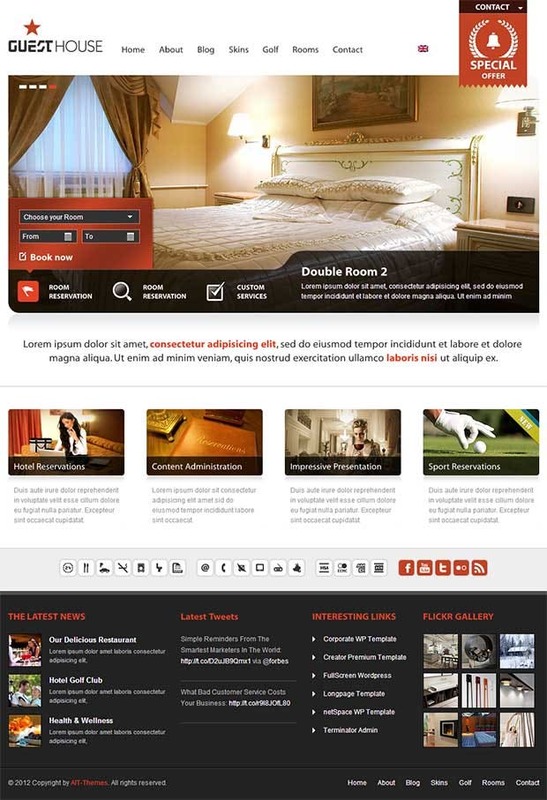 This is one Responsive Theme which includes cross browser compatibility besides multiple color schemes. Featured fonts and advanced sliders make navigation easy whereas the multilingual support renders additional support. This theme allows complete customization and also features multiple color schemes and icon sets. Shortcode generators come in real handy whereas featured sliders and sidebars allow seamless navigations besides advanced typographic options. 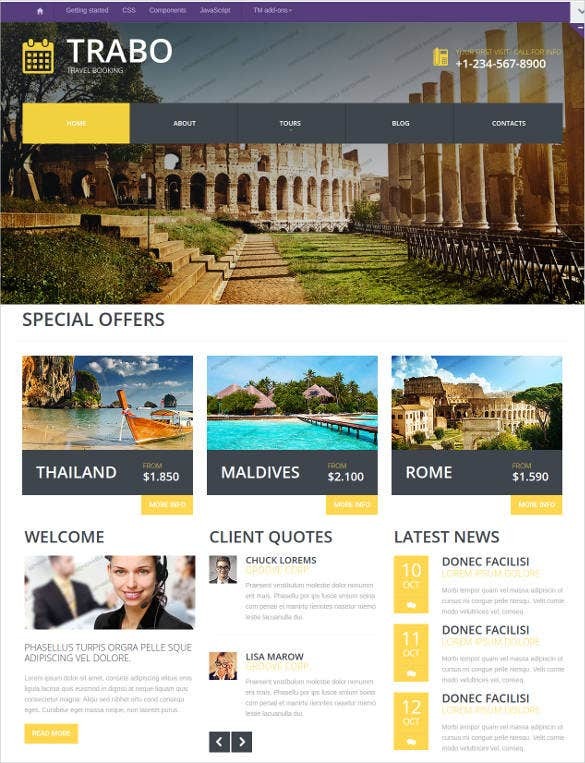 This theme includes stock photos and round the clock support for the designers in addition to the responsive layout. Multiple color schemes are up for grabs whereas the featured sliders come in real handy. 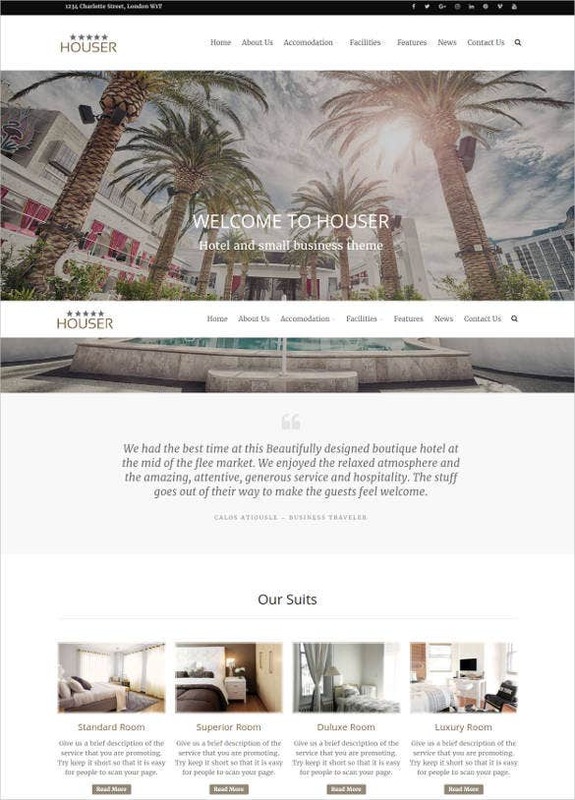 Add this theme into the mix for getting the best possible designs in addition to the responsive layout. Featured sliders and advanced scrolling options are included whereas the extended gallery showcases tremendous flexibility. Photoshop compatibility and a wide range of stock photos are made available with this theme in addition to the extreme responsiveness. Better customer service and multiple color schemes provide the needed boost. 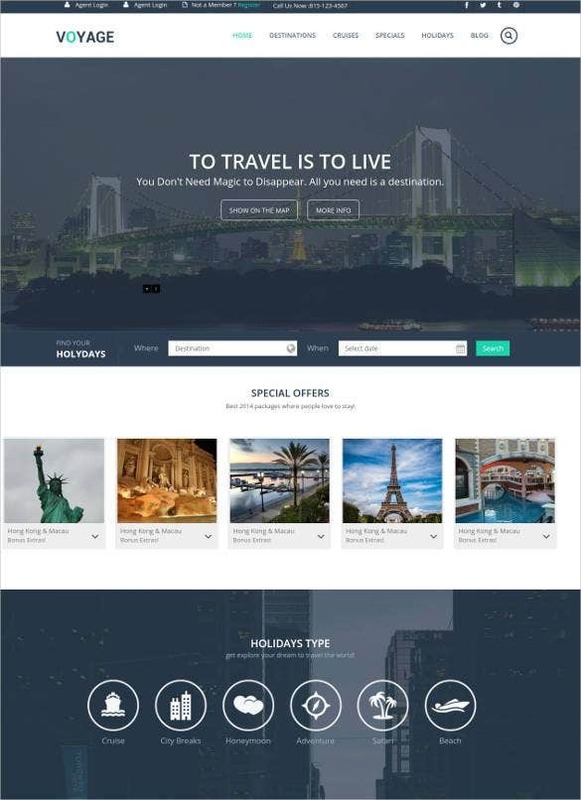 This is an awesome theme which includes built-in monetization and has Google maps integrated within. 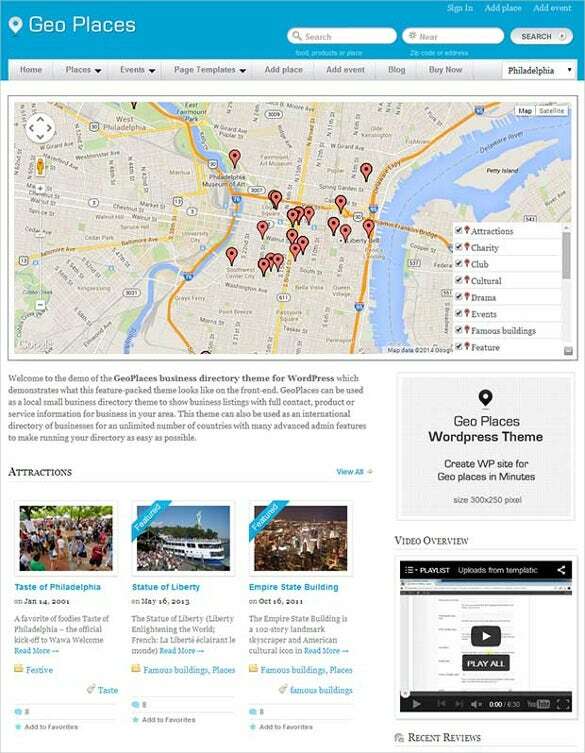 Ultimate city directory is provided besides manageable homepage and customizable contact forms for the professionals. Stock photos and round the clock customer support make this theme an instant hit among the professionals. Other features include Photoshop compatibility in addition to the multiple color schemes and icon sets. 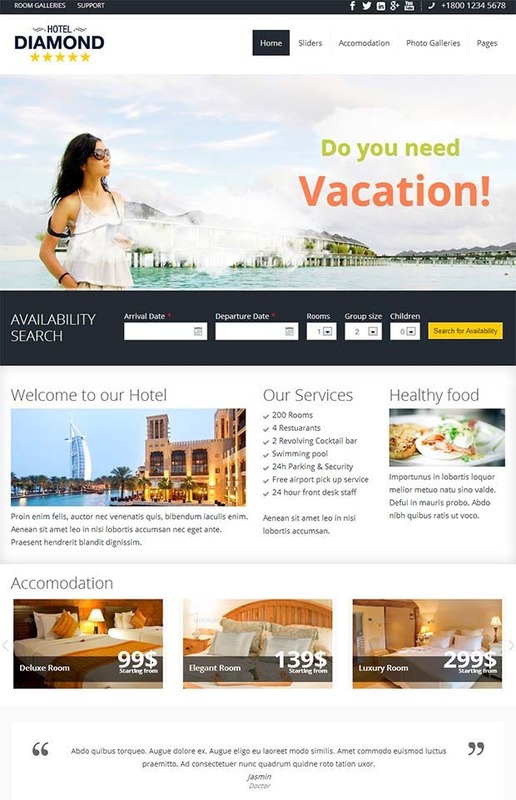 Online management of hotels has never been this easy with efficient booking schemes and a Widgetized homepage. Multilingual interface is existent whereas the multiple color schemes help realize the best possible designs. 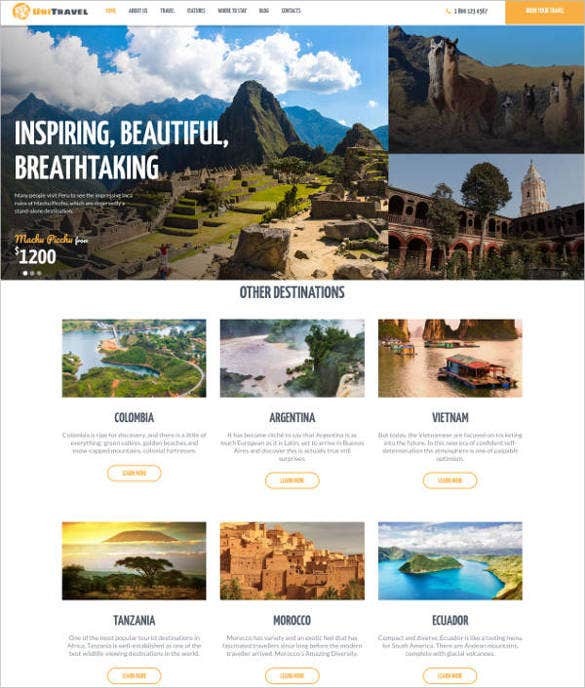 Travel long and strong with this exciting theme featuring multiple category page layouts and fully controllable sliders! Media gallery templates are also showcased in addition to the Ad modules and jQuery empowered plugins. 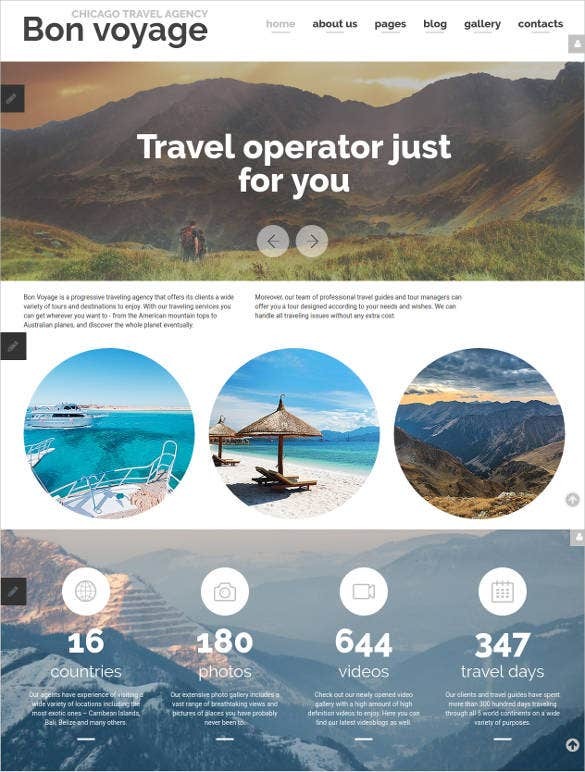 Sort out the travelling constraints with this resourceful theme featuring stock photos and an extended imagery. 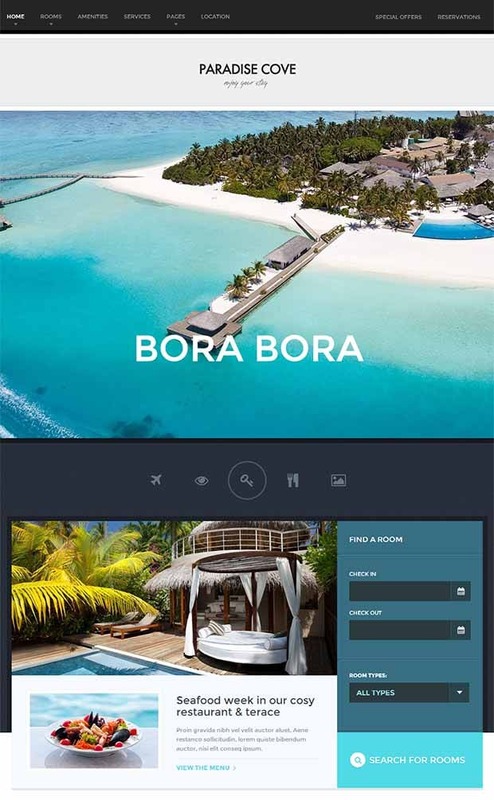 Other features include a responsive layout which is well teamed up with the round the clock user support. 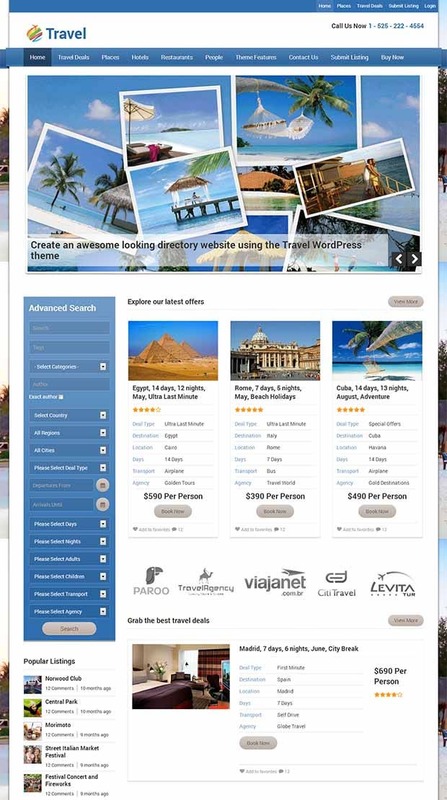 Plan exciting vacations with this usable theme showcasing multiple homepage designs and map integrations! 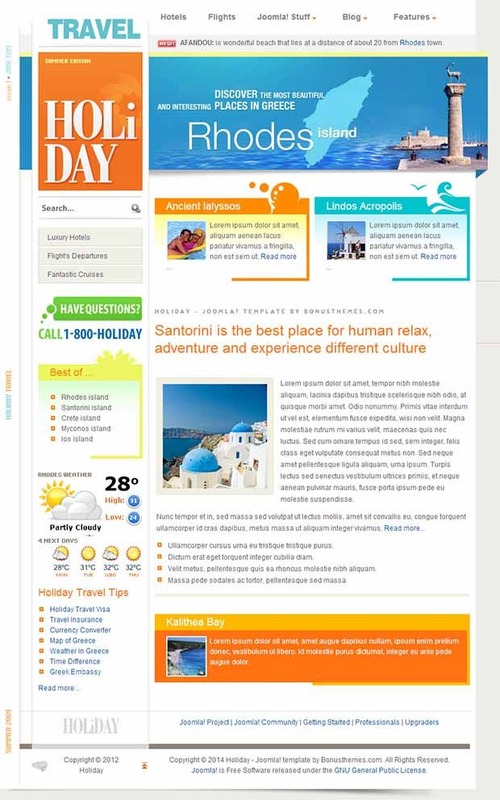 Categorized page viewing options are available in addition to the grid based layout for the designers. Stacked with vibrant photos, this theme features a responsive layout in addition to the multiple color schemes. Editable interface and HTML compatibility are some of the other desirable features. 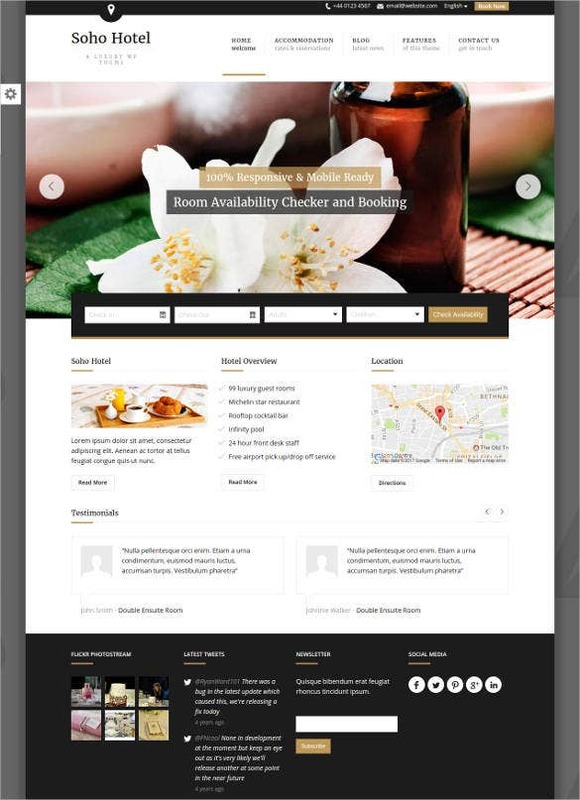 Booking modules and a helix framework are some of the essential features besides the responsive layout. Present styles and varying module positions are up for grabs and can be well teamed up with simple image gallery and integrated maps. 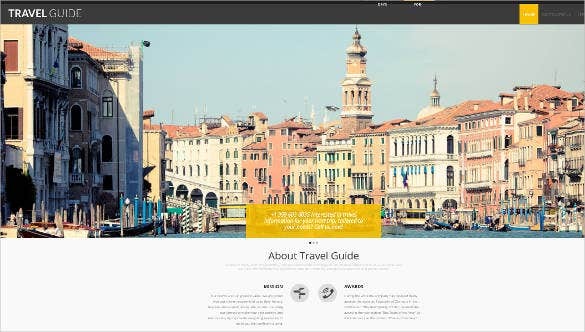 There is a huge list of WordPress Travel and Tourism themes. 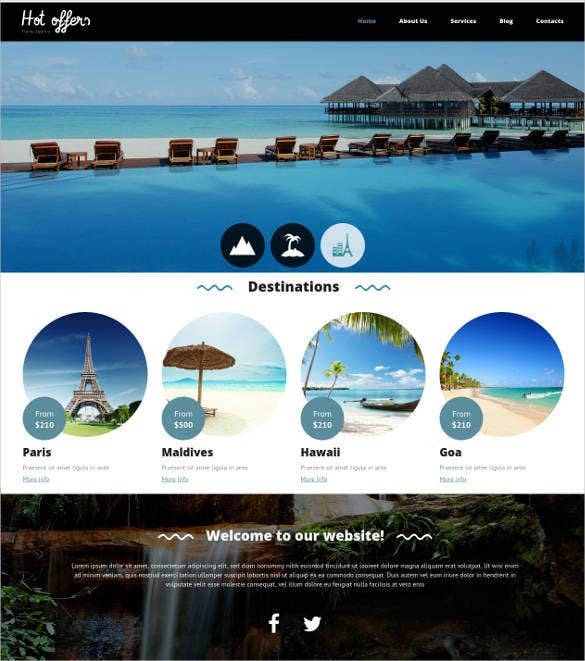 Travel WordPress Themes with beautiful designs and attractive functionality to impress the users. Free demos and free samples of few of the themes are available. 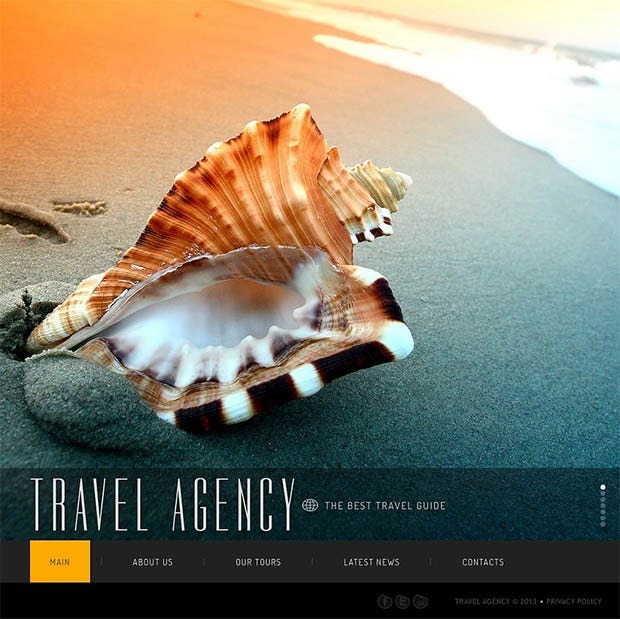 One theme which has a flexible framework added to it besides the resourceful slideshows. Footer and header widgets pack a punch whereas the drop down menus help project the true picture. 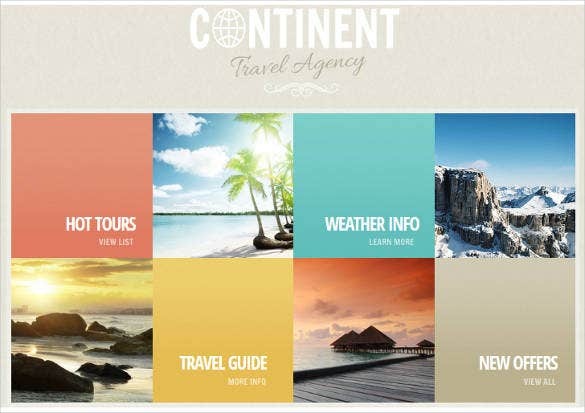 Tour and Travel websites need clarity. 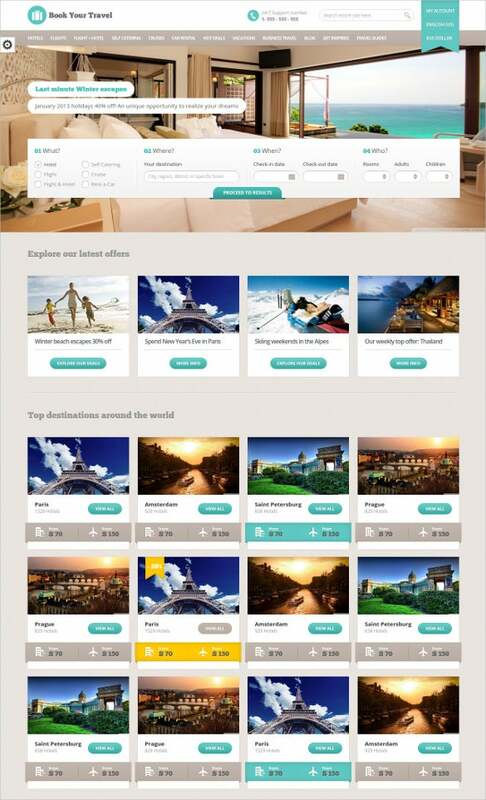 Differentiating the places with various colors and themes will help the users. 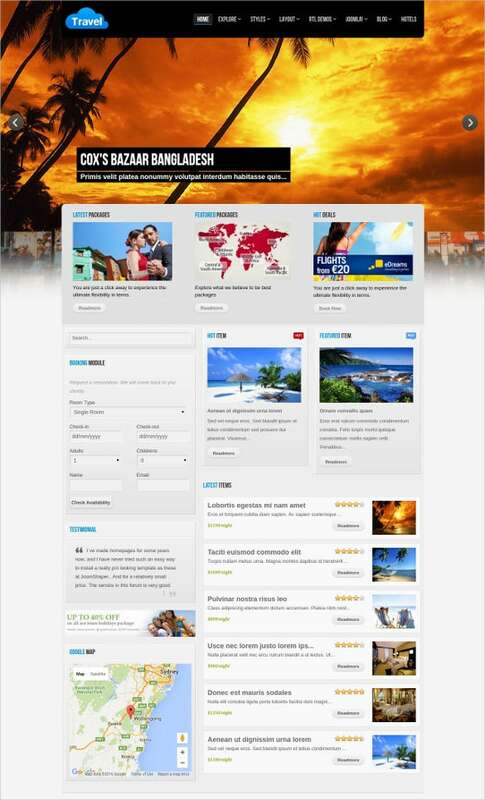 Template tourisme gratuit available which offers best of the features with flexibility. 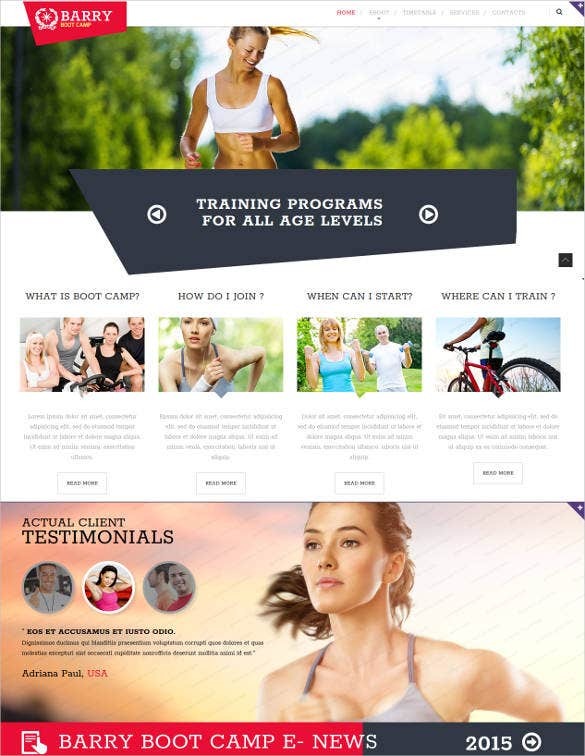 Photoshop compatibility makes this theme come to life in addition to the extremely responsive interface. 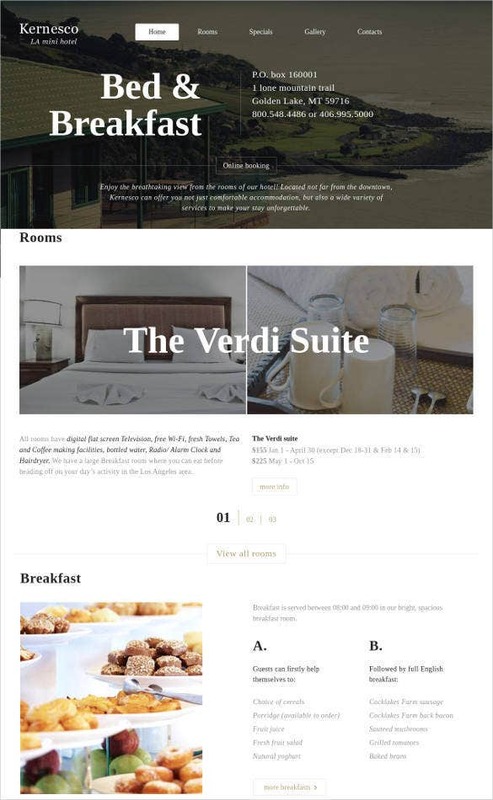 Useful navigation links are featured by the content blocks whereas the multiple color schemes are also included. 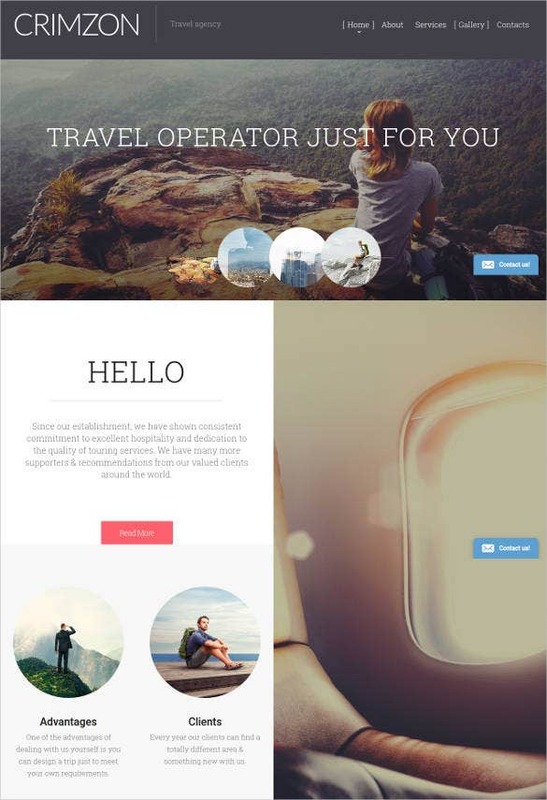 This is one exciting theme which includes a traveler responsive layout in addition to the multiple color schemes. Selections have been made easy with the stock photos and round the clock customer service. 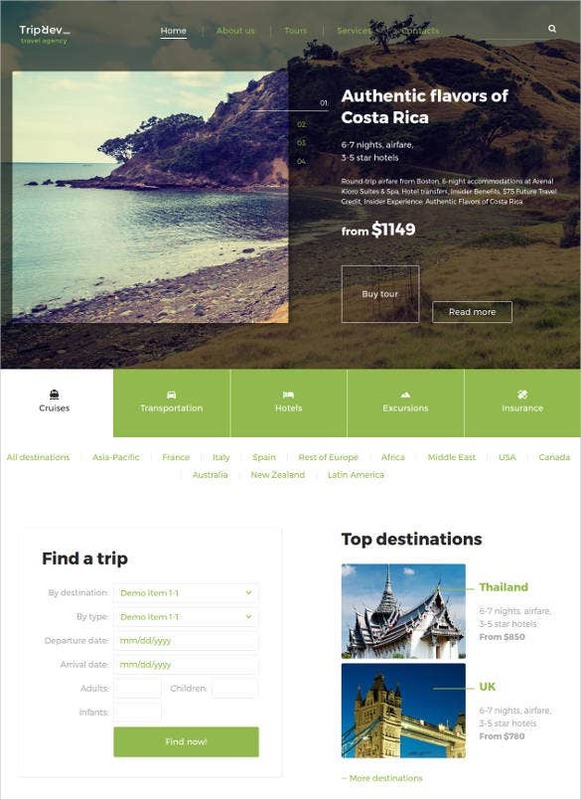 Set against a greener backdrop, this theme includes Google Maps Widget in addition to the extremely responsive framework. Portfolio templates are available in addition to the WooCommerce compatibility and multiple styling options. 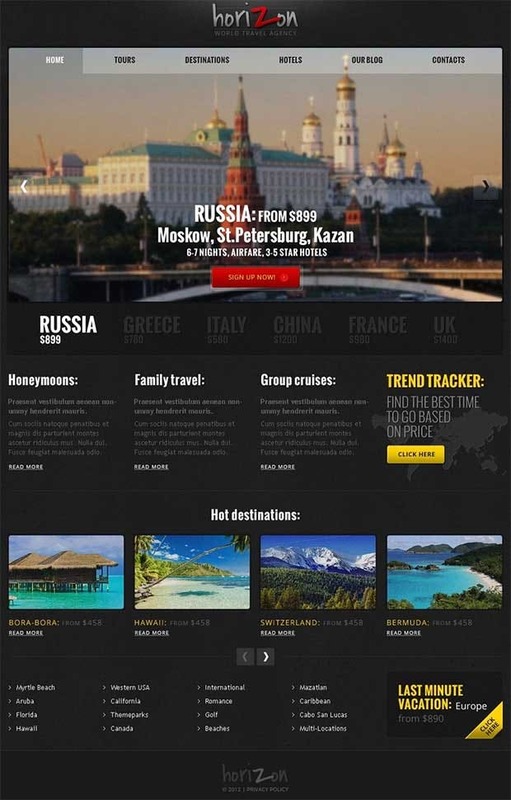 A beautiful travel template with an advanced search module and five color styles which are extremely useful! Extended admin panel and video widgets provide the needed flexibility besides the all-inclusive article carousel. The best template for the enthusiasts, featuring a fade panel which has certain animations blended within. Perpetual updates are supported whereas the Quickstart package provides the required boost to the professionals. This theme showcases cross browser compatibility in addition to the 14 module positions and a tableless framework. Clean PHP codes and a template package are provided besides the uncluttered outlook. 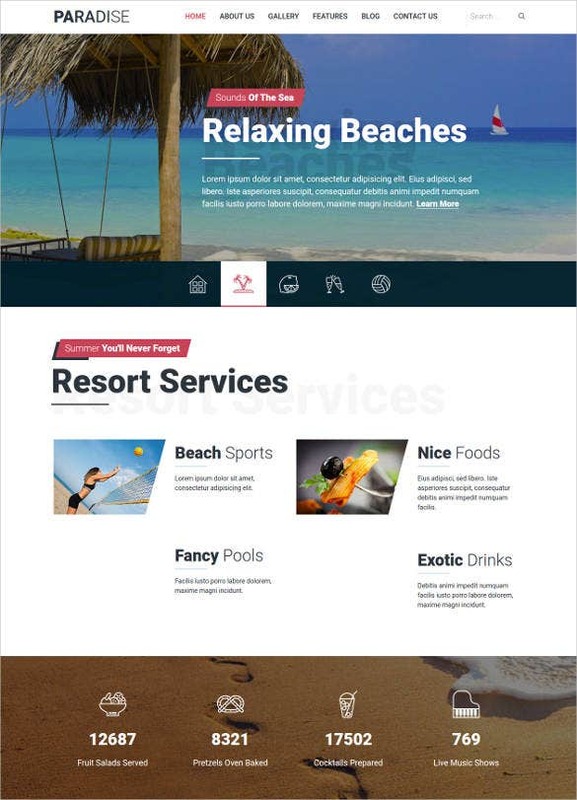 A responsive slideshow module is available in addition to the multiple color schemes and a responsive layout. Other features include a customizable layout and the cross browser compatibility besides PSD source files. Meant for the enthusiasts, this theme lends a cleaner look in addition to the customizable background. 4 color themes and the jQuery effects are existent besides the cross browser compatibility. 4 amazing color schemes are there to choose from whereas the powerful JAT3 framework renders addition support. Template support and multiple modules are included in addition to the multiple layout support. Coolest of features are included in custom Typeahead styling and CSS3 animations besides the responsive layout. Sign up pages are also available whereas the contact forms add to the flexibility. This is one vibrant theme which includes the essential Bootstrap 3 in addition to the revolution slider. 21 pages and 2 footer colors are available besides the multiple product listing and parallax slider effects. 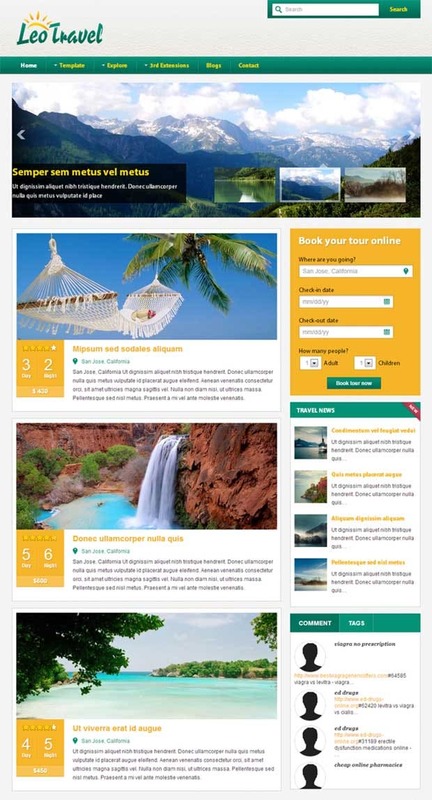 How to Create Tourism Website? 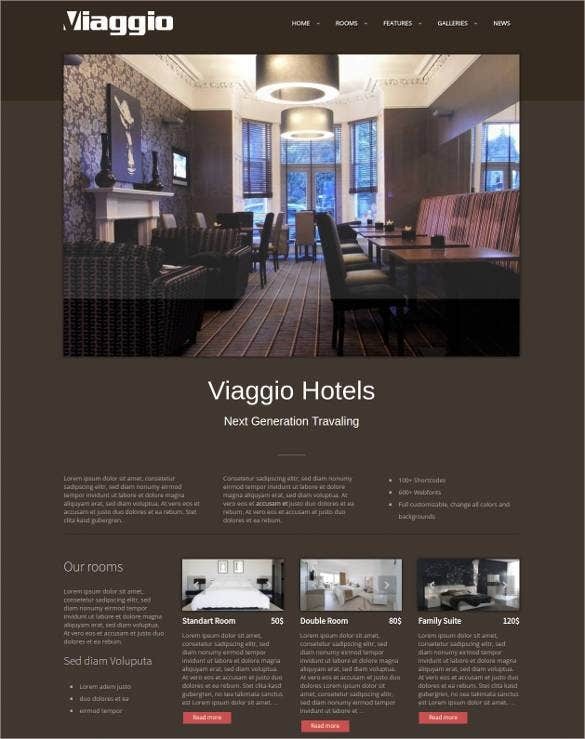 Pleasant background pictures create a visual impact on the website. 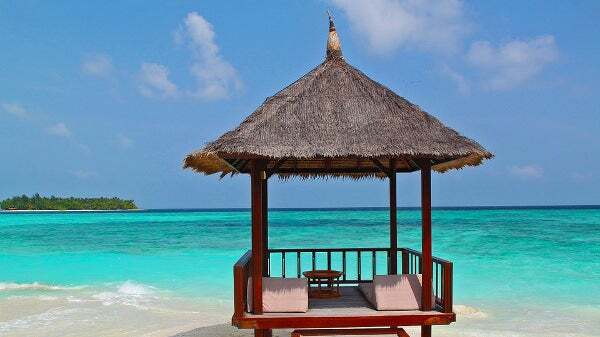 Various locations, monuments, High definition pictures and free download files are necessary for any tourism website. 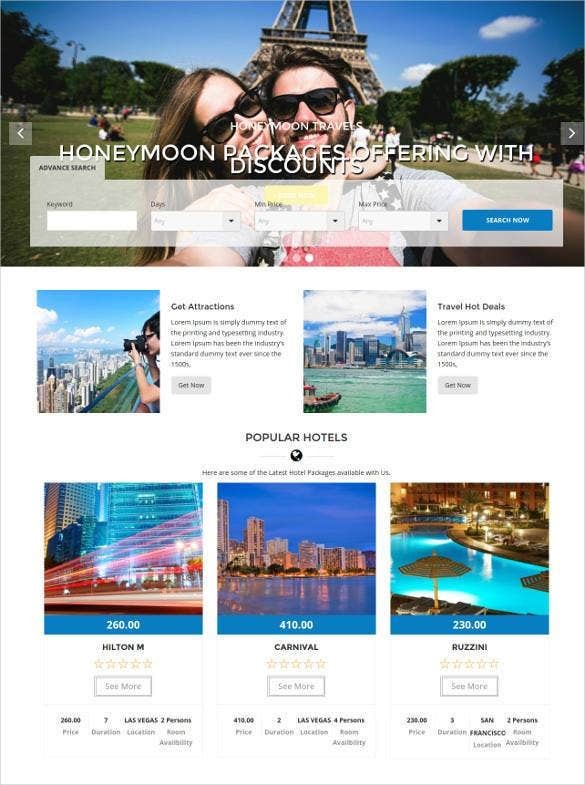 There are many tourism websites on the internet, make yourself unique to attract the viewers and stand out from the rest. 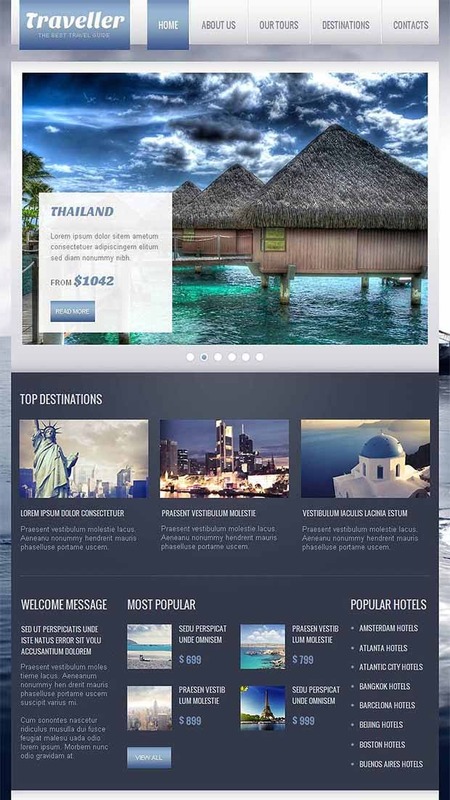 With so many premium tourism website templates coming to you with the best elements from HTML5 and CSS3, you can easily create a well designed and functionally rich tourism website. 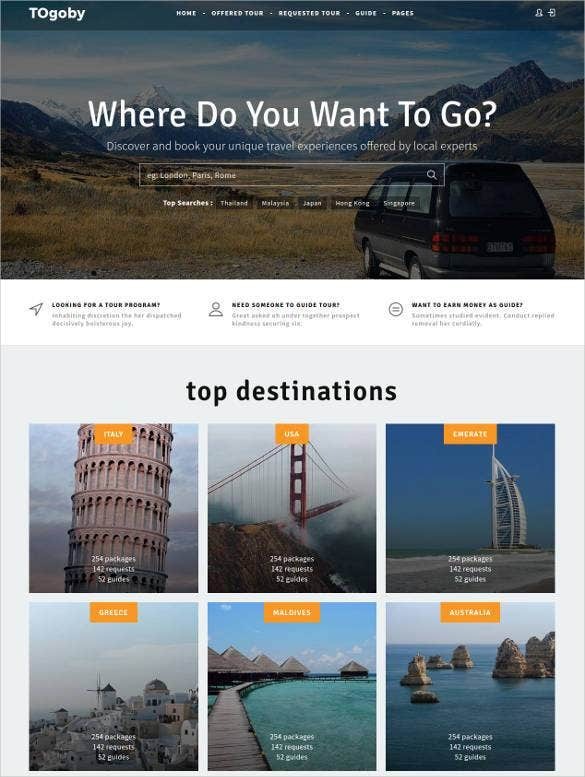 Here is a collection of the best templates for travel related websites.